The petition was filed last week in a Houston federal bankruptcy court, listing Young with estimated assets between $500,001 and $1 million and liabilities between $1,001,000 and $10 million. Young, who spent some time in training camp with the Green Bay Packers, is fighting a pair of lawsuits stemming form a $1.8 million loan obtained in his name during the 2011 NFL lockout. A court has granted a judgment against Young to Pro Player Funding, a New York company that made the loan. get a long look at their backups, players trying to win a spot on the 53-man roster. The result was a sloppy 30-8 loss to the Chiefs at Arrowhead Stadium in Kansas City. 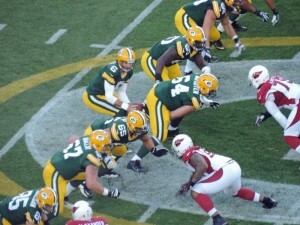 The Packers acknowledged after the game that Don Barclay has won the right tackle job, which was expected. Players that stood out, Chris Banjo and Micah Hyde on defense and Jeremy Ross on offense. weekend when the Packers cut Harrell, opting instead for 30-year old veteran Vince Young. Harrell spent the first two seasons on the Packers practice squad but won the backup job last season after Matt Flynn signed a free agent deal with the Seattle Seahawks. Vince Young completed 6 of 7 passes for 41 yards and a 1-yard touchdown pass. He also rushed 3 times for 39 yards. His touchdown pass came on an 11-play, 80-yard drive and it was enough to convince the Packers that he was their man behind Rodgers. 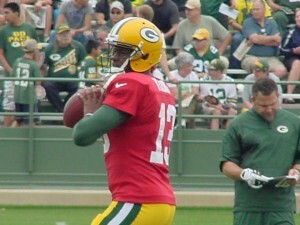 Harrell finished the preseason in Green Bay completing 23 of 42 passes for 169 yards and an interception. His quarterback rating was 54.6. Young is 12 of 19 for 74 yards and a touchdown with a preseason quarterback rating of 88.5. The Packers also still have B.J. Coleman on their roster. He’ll likely be released and spend another season on the Packers practice squad. The Packers also released wide receivers Alex Gillett, Omarius Hines and Justin Wilson. They have until 3pm Tuesday to get the roster down to 75 players. 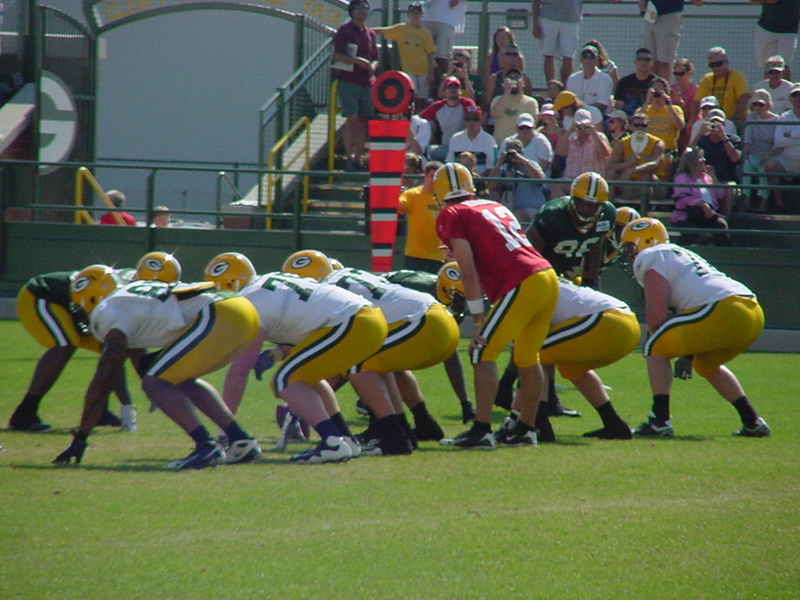 Green Bay Packers coach Mike McCarthy hinted earlier in the week that this wasn’t going to be your average third preseason game, a game where the starters normally play at least a half and in some cases early into the third quarter. McCarthy said they had players they needed to look at which could alter the way the normal “dress rehearsal” game is played. under Rodgers, hasn’t scored a single touchdown in three preseason games. Rodgers has only played a total of five series and 45 snaps in the first three preseason games. His passer rating is 102.3, but no touchdowns. Rodgers won’t likely play much at all in the final preseason game at Kansas City next week, if at all. That means he and the first unit will have to be ready with little game preparation for the regular season opener at San Francisco in two weeks. 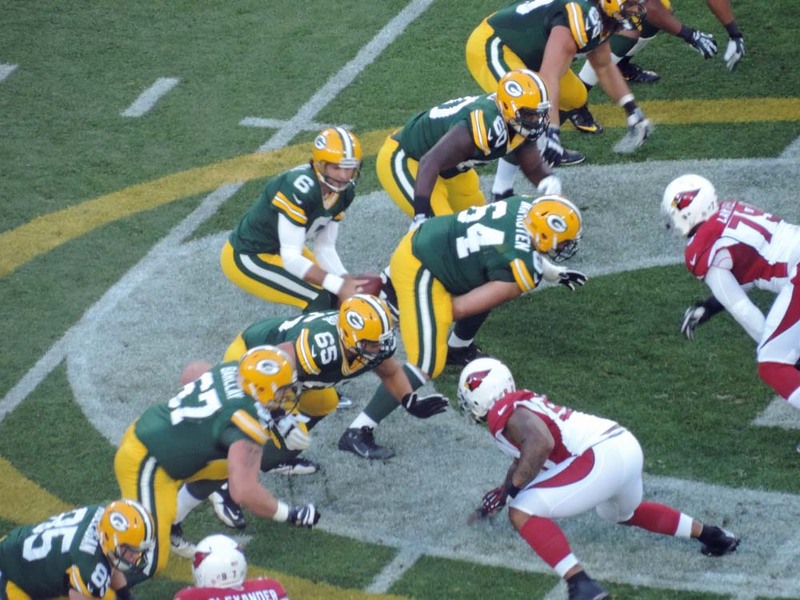 The Packers played well defensively in the loss. They sacked quarterback Russell Wilson four times and had a fifth negated when they accepted a 10-yard holding penalty against the Seahawks. Seattle Seahawks. Time is running out on players still trying to make the 53-man roster. Following are some of the things I’ll be looking forward to seeing in tonight’s game. It marked the first time the Packers had been shut out in a 60-minute exhibition game since a 33-0 loss to the Washington Redskins in August of 1987 in Madison. The Packers did move the ball on their first offensive possession. 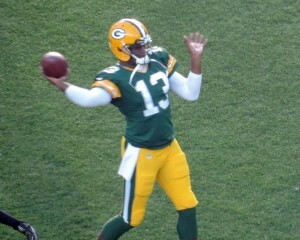 Aaron Rodgers hit James Jones for a 50-yard pass down the left sideline, giving the Packers a first and goal. But the Packers would fail to score, going for it on fourth down and winding up short. Although replay would show that running back James Starks appeared to reach the ball over the goal line before he was down. Mike McCarthy threw the challenge flag but lost the replay challenge. That’s as close as the Packers would get to scoring points the rest of the night. 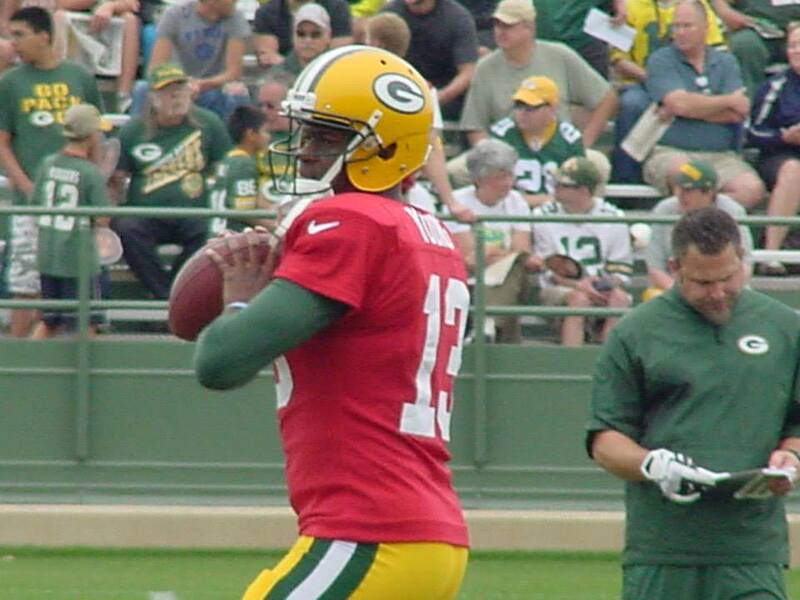 Vince Young is on the Green Bay Packers practice field this morning, after signing a 1-year contract with the team. The Packers saw enough from Young in their workout on Monday to keep him in Green Bay, where he is expected to compete with Graham Harrell and B.J. 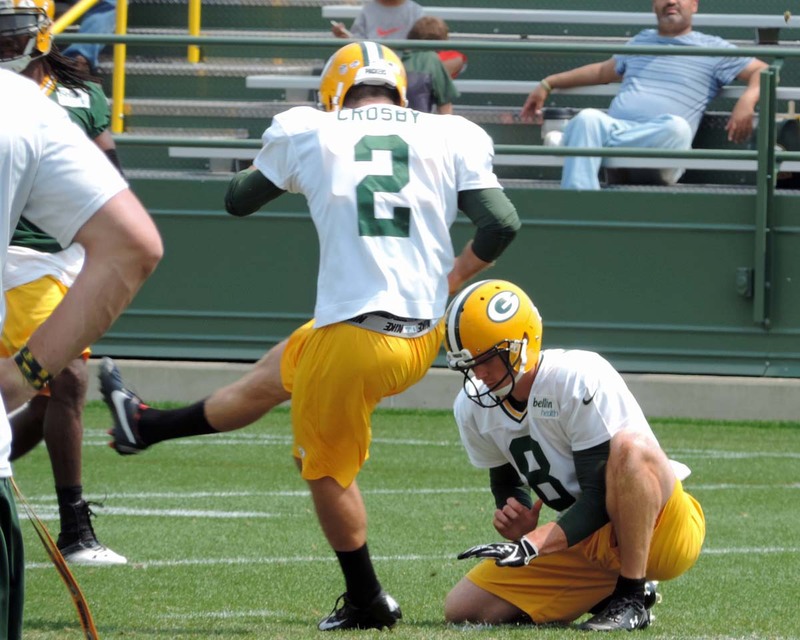 Coleman for the backup job to Aaron Rodgers. The 30-year-old Young was the third-overall pick in the 2006 NFL Draft. He has played in 60 career games with 50 starts in his six NFL seasons with Tennessee and Philadelphia. Young has completed 57.9% of his passes for 8,964 yards in his career. He’s thrown 46 touchdown passes and 51 interceptions. Young has also rushed for 1,459 yards, averaging 5.2 yards per carry and scoring 12 touchdowns. The Packers weren’t happy with backup B.J. Coleman’s performance in Saturday’s scrimmage. It’s not certain if Young will get enough of the offense to play in Friday’s preseason opener against Arizona, or if he’ll be able to learn the offense sufficiently during the rest of training camp to be able to win the backup job. The Packers open the season Sept. 8 against the San Francisco 49ers and then host the Washington Redskins the next week. At the very least, Young should provide the Packers defense with a good scout look for Collin Kaepernick and Robert Griffin III. Young went 30-17 as a starter in Tennessee. But the last time he played in an NFL regular season game was in 2001 with Philadelphia. suffered a knee injury in Saturday nights Family Night scrimmage. The Packers are reportedly concerned the injury could be a torn ligament and would turn out to be season ending. 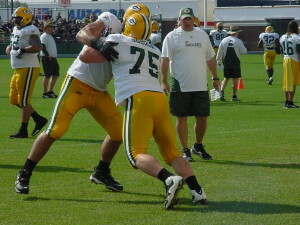 Bulaga had just moved to left tackle this offseason and played 30-snaps in Saturday night’s scrimmage.